Are you looking for the perfect party favors for your Dino Dig Birthday Celebration? 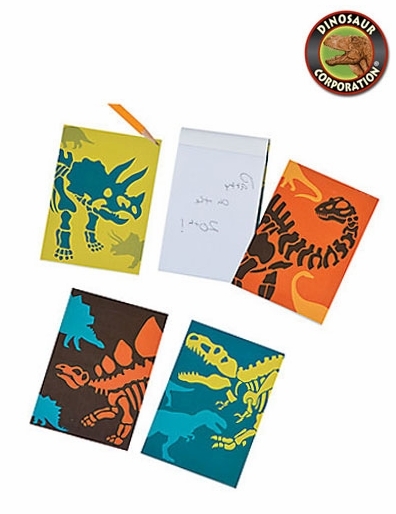 Featuring fossil remains of your favorite dinosaurs on the cover of each notepad, these Dino Dig Notepads make great giveaways and gift bag fillers for your party guests to enjoy. * Size 3" x 4 1/4"